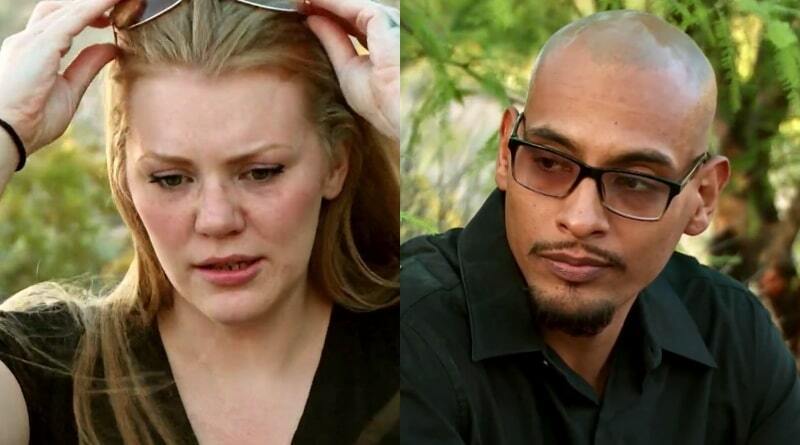 Love After Lockup‘s Brittany and Marcelino haven’t always seen eye to eye on the WE TV series. In the most recent episode, they had a blow out fight over Brittany seeing her ex (Amanda) behind Marcelino’s back. Marcelino is very assertive, and his personality rubs others the wrong way at times. That said, with their most recent news, it looks like the couple took one more step on the path to solidifying their relationship for the long haul. The Love After Lockup stars recently took another step in their relationship. They each got a tattoo of the other person’s name in similar spots on their bodies. Tattooing the name of a lover on your body can be a recipe for disaster if things go south. But the couple definitely took their commitment to another level with these new additions. Some Love After Lockup fans definitely support this move while others see it as silly and unwise. If both Marcelino and Brittany were serious enough to commemorate their union with body ink, that definitely provides some insight into where their relationship is at. Even though WE TV watchers just saw the pair have a major fight on television, things seem to be going well for the couple in real-time. Love After Lockup: Are Brittany and Marcelino Expecting? Along with snaps of the happy couple on Instagram, there’s another post that got fans’ attention. Both Brittany and Marcelino posted a collage on their respective Instagram pages, featuring a picture of each of them when they were children. The Love After Lockup celebs asked fans who they think a baby would look more like if they had one. The timing of the post is certainly interesting. Back in December of 2018, Soap Dirt reported on a baby registry seemingly belonging to the LAL couple. They married at the end of December as well. The baby registry found online belonged to a Marcelino and Brittany from Las Vegas. It’s certainly possible that the registry could belong to a different couple of the same name from Las Vegas, but the odds are good that it belongs to the Love After Lockup couple. Add the baby registry to the recent post asking fans what a possible baby would look like, and it certainly seems like a baby is on the way for the Love After Lockup twosome. At the moment, no official announcements have been made. This is definitely something to keep an eye on in the coming months. Despite some early setbacks, it seems Brittany and Marcelino’s rocky relationship is strong now. The Love After Lockup pair share numerous happy snaps to their respective Instagram accounts. There are even pictures of Brittany with her ex, Amanda. This tells us that Marcelino warmed up to the idea of Brittany being around her ex. In the most recent LAL episode, Amanda is the primary thing they fought over. With a possible baby on the way and freshly inked couples’ tattoos, it certainly looks like Brittany and Marcelino are in a good place now. Catch all-new episodes of WEtv’s Love After Lockup Fridays at 9:00 pm. Come back to Soap Dirt often for the latest Love After Lockup news and leaks. ← ‘Sister Wives’: Kody Brown Spins Excuse – Will Meri Fall For It?